Brought to you by our friends at Golf Clash. Between family responsibilities and barbecues, not all golfers have time to sneak in a full 18 holes with their golfing buddies. For those golfers that don’t have time for a full round, but still want the competition, there’s Golf Clash, the No. 1 grossing sports app in the U.S. on mobile. Currently one of the top 10 grossing mobile games in the world, Golf Clash gameplay allows users to compete against friends in quick (typically 3-5 minutes) multiplayer matches, participate in tournaments themed around real-world events and holidays, and show off videos of their best shots through native, easy-to-use sharing. The game is now available for download on all iOS and Android devices. 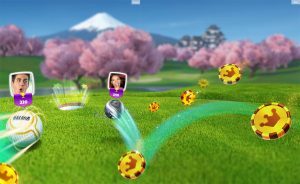 Golf Clash is an incredibly successful and award-winning quick-fire golf dual game from Playdemic, a Warner Bros. Interactive Entertainment studio. Golf Clash is the No. 1 grossing sports app in the U.S. on mobile, with more than 40 million downloads globally to date. Golf Clash is available now for download on all iOS and Android devices and has been a top app since its launch in 2017. Golf Clash is the perfect casual game with short session matches easily enjoyed by fans or newcomers, anytime, anywhere. Golf Clash allows you to show off videos of your best shots instantly through native, easy-to-use sharing. Golf Clash has frequent time-based tournaments themed to real-world events and holidays.